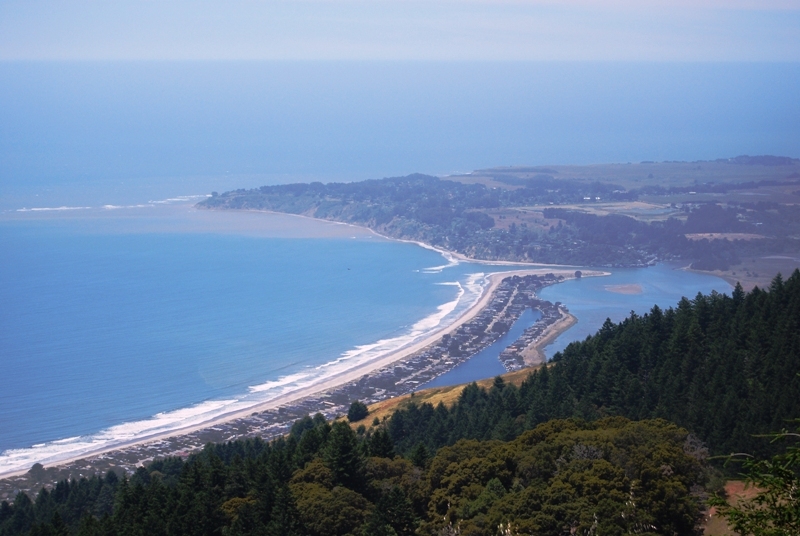 This is a very comprehensive and active itinerary, and we will have the opportunity to appreciate northern California icons. We will start in San Francisco, a city with great personality with streets that defy geometry and a variety of neighborhoods with different cultures. 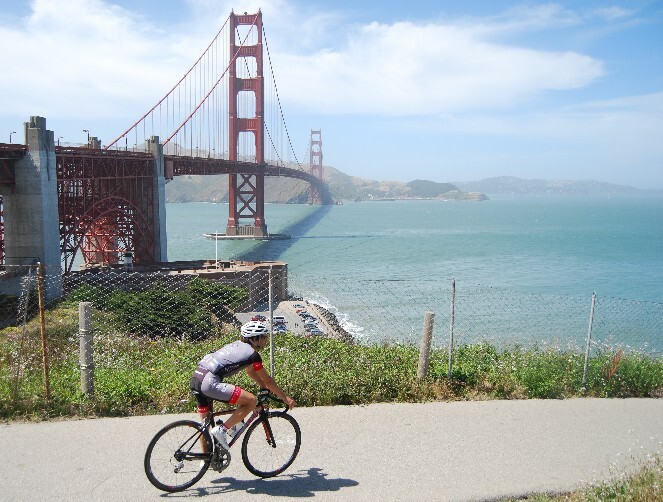 After crossing the famous Golden Gate Bridge, the cycling challenge starts by riding along the Pacific coast with its beaches and cliffs. 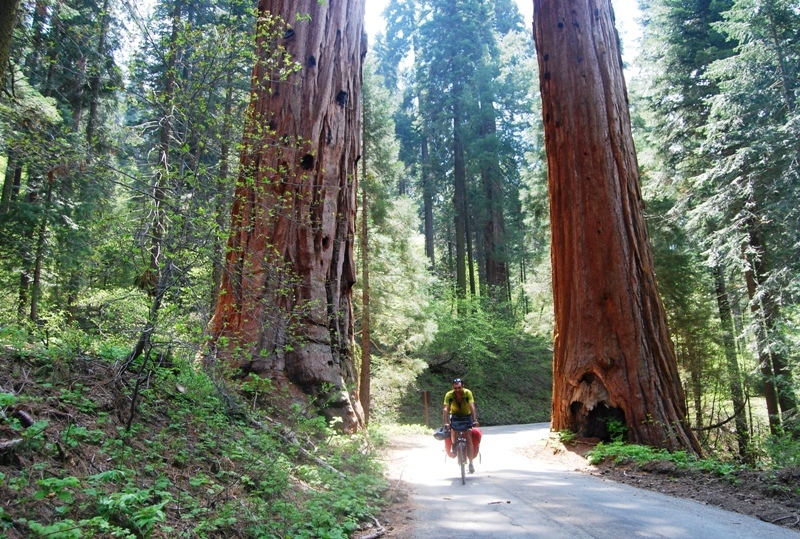 California offers an incredible variety of surroundings: on the same day you can be riding the Pacific coast and then end up in a vineyard, after going across redwoods, 100m sequoias and up rivers with idyllic surroundings. The great outdoors could make you feel small…. Riding through the vineyards of Napa Valley is a unique experience. The tour includes one of the United States’ wine industry’s most famous valleys, where connoisseurs will be able to taste its flavors. 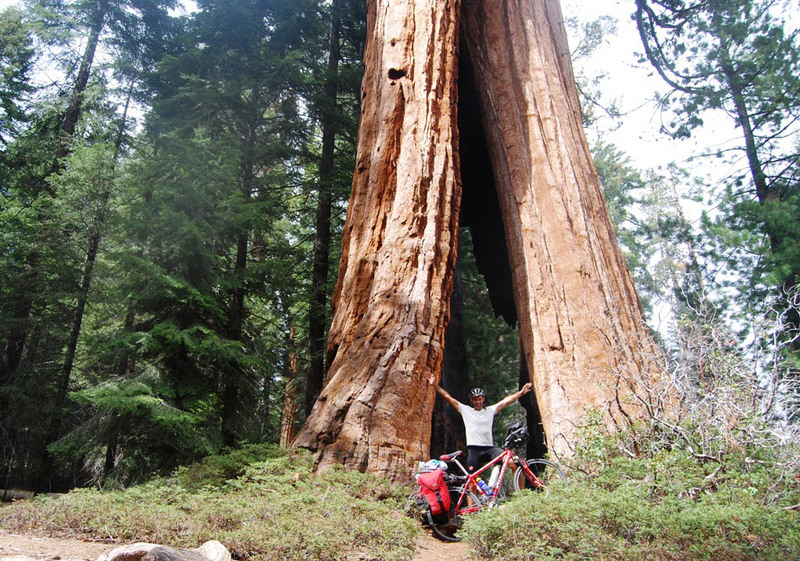 We will also have the opportunity to ride through the famous Yosemite National Park and to do some trekking at the base of the mythical “El Capitan”. History and geography change drastically during this trip. We will go from old gold rush towns to the Sierras Nevadas. We will ride from the oak forests valleys up to the conifers that grow in granite walls at 2500m. In an imposing scenery we will have to climb category 1 passes at around 3000m. This is an itinerary with many slopes, designed for strong cyclists with a good physical training. 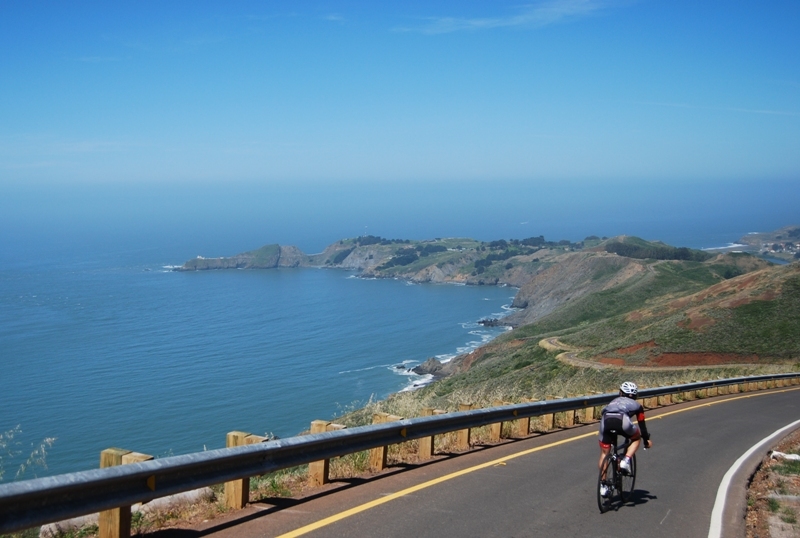 The charms of California will make fatigue go away. San Francisco, Bay Area, Route 1, Half Moon Bay, Russian River, Santa Rosa, Napa Valley, Gold Country, Sierra Nevada, Yosemite, Santa Cruz. Medium. 10 stages on road bikes, hybrids or mtb with slim tires. Uneven terrain, some stages with a level difference of +3000m and mountain passes close to 3000mosl. nice. Mornings can be brisk and afternoons hot. Rainy days are very rare at this time of year in California; we might encounter some random storms in the Sierras Nevadas.